I’ll be the first to say that I’m not one of those moms who typically buys her children juice. Most that I’ve tried are too sweet – almost syrupy – or taste like something out of a packet. Any fruit flavor is so bogged down by sweetener or artificial flavors, it’s difficult to identify what it’s even supposed to be. 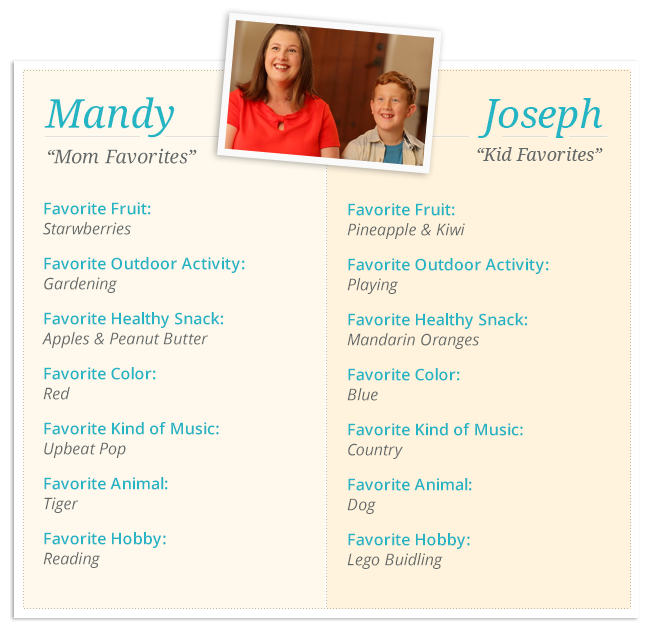 This is, of course, in direct contrast with the goal of my children to consume as much juice as is humanly possible. For a long time it seemed we were at a cross purpose. 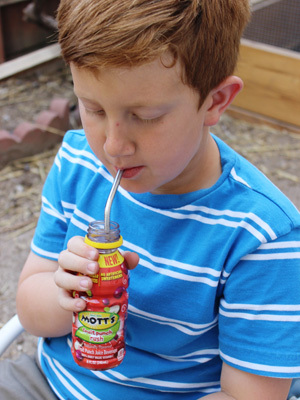 Then we tried Mott’s Strawberry Boom and Fruit Punch Rush. I poured Joseph a glass. He took a big drink and said, “You’re going to like this one!” So I filled my own glass and took a sip. He was right. It was delicious. The Strawberry Boom was tart and sweet with a refreshing burst of, well, strawberries. It actually tasted like the fruit in its name. Honestly, though, our favorite was the Fruit Punch Rush. It tastes how fruit punch should taste – full of flavor with no odd aftertaste so prevalent in fruit drinks. I hid a couple of the smaller bottles in the back of the fridge to put in my own lunch. It’ll be far healthier for me than the colas I typically drink. I flipped the bottle around and read the ingredients, raising my eyebrows with pleasant surprise at how low in sugar it is compared to other fruit juices. With only 60 calories per serving, I don’t need to worry about filling the kids up. It’s already been added to our shopping list because it’s one juice drink I don’t need to save for a special occasion or water down. It’s fantastic just as it is. This post is sponsored by Mott's.